Item number B714 from the MOA: University of British Columbia. 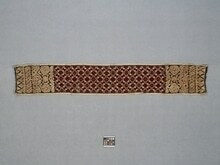 Rectangular shaped cotton scarf with a light brown border along the top and bottom. 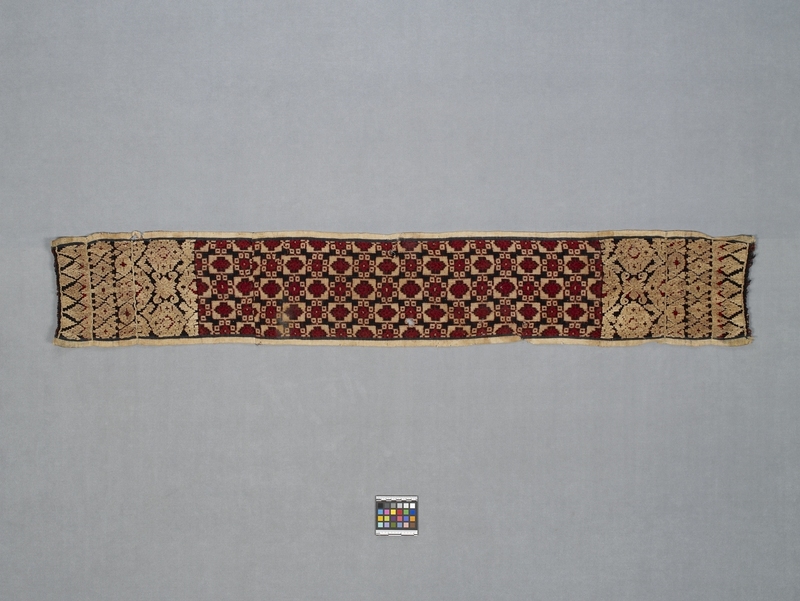 The sides have a floral and geometric design in light brown with black and dark red behind. The centre has a red geometric design with a black and light brown detailing.